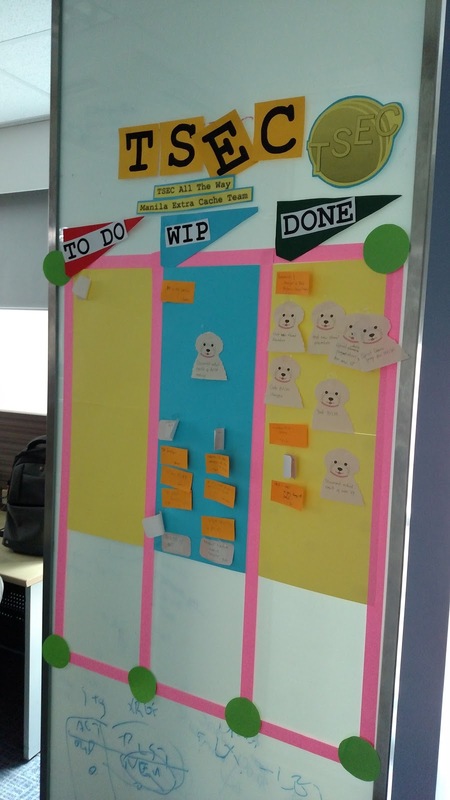 Agile Dispatches from the Field: Task boards are fun for everyone! 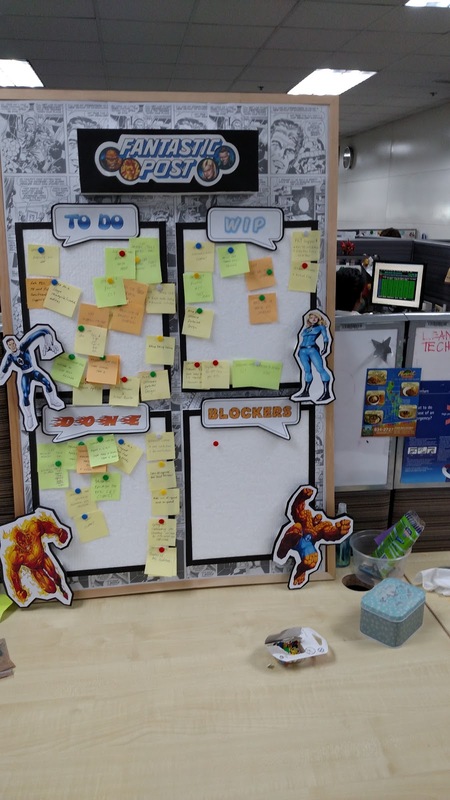 User Story: As a new participant in an Agile world, I need to understand why I need a physical task board so I can make best use of it and not feel like I'm wasting my time. Acceptance Criteria: Teams embrace the task board and begin to experience the results that occur with synergy. In Agile we can use many different tools to help us track the work we're doing and provide our stakeholders with information. Many of these tools include a digital task board; this can be useful for teams, especially if they have remote team members or are a distributed team. However, I coach teams to maintain a physical task board for several reasons. They can be a great information radiator for everyone interested in whatever you are doing--external stakeholders, other teams, managers, etc. 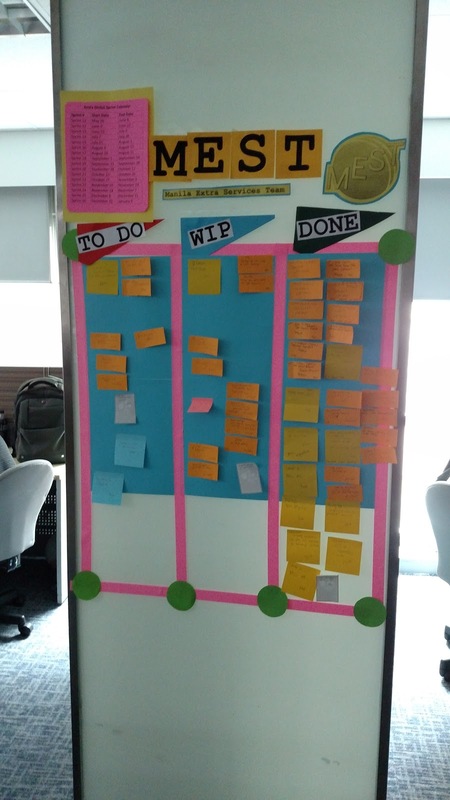 A physical task board is also a good place to hold the daily stand up; gathering around this helps keep everyone focused on what we're talking about and makes very visible the progress against the commitment, or lack of. But the main reason I coach to physical task board is because of what I call the magic. 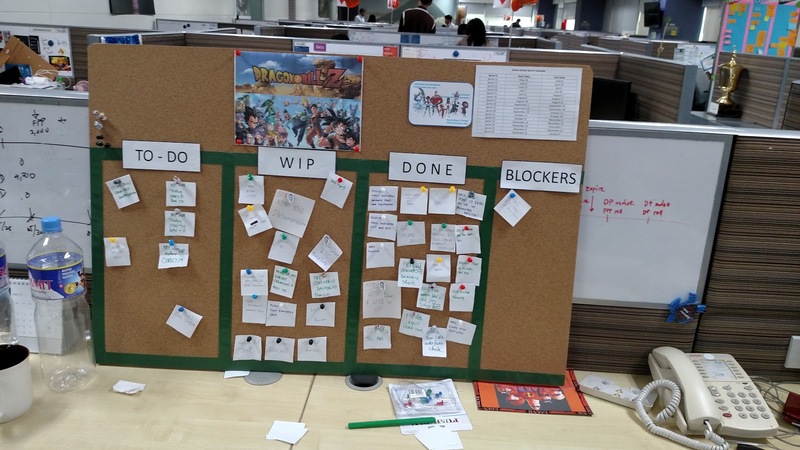 It's not really magic, but there is an effect that occurs for those teams that really embrace the task board and the benefits are many. 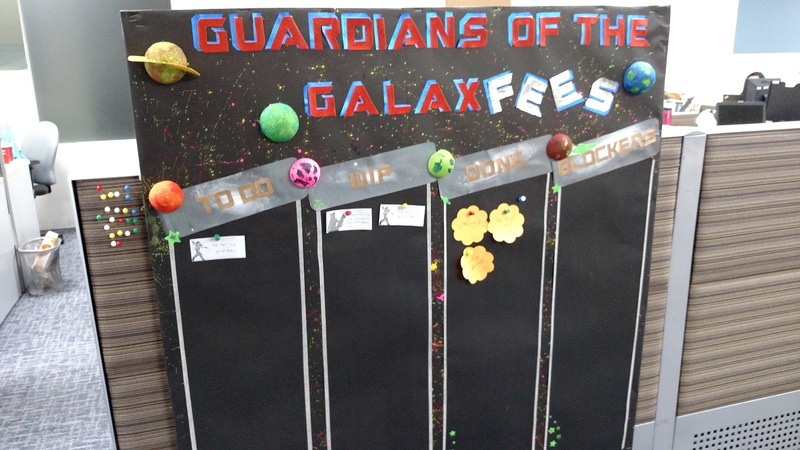 Generally, when I mention that having a physical task board--and holding stand up there every day--is a good idea and one I highly recommend, I get the questions. "Do we have to have a task board; is it required?" "Why do we need that and the one in the tool?" “Isn't that duplication of effort?" “Do we have to hold stand up every day?" That’s usually enough for most teams to choose to try it; we can try anything for a couple weeks, right? 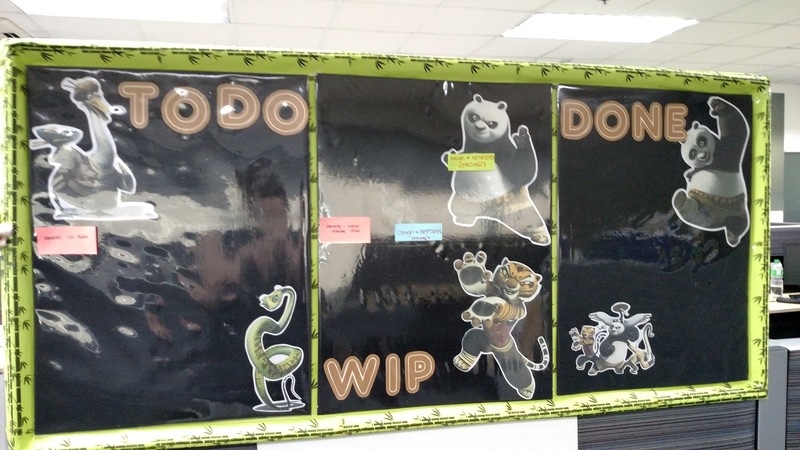 Some team members feel self-conscious and even embarrassed by setting up a task board. Writing their tasks on colored post-its and posting them in a publicly visual space and then standing there in front of it each day. This is so different from what we’re used to; even if our work is in some tool somewhere it’s not visible like this, where everyone can walk by and see or hear us talking about it. But that is when the magic begins. Some teams do the bare minimum and their boards may be monotone with the fewest columns and frills. 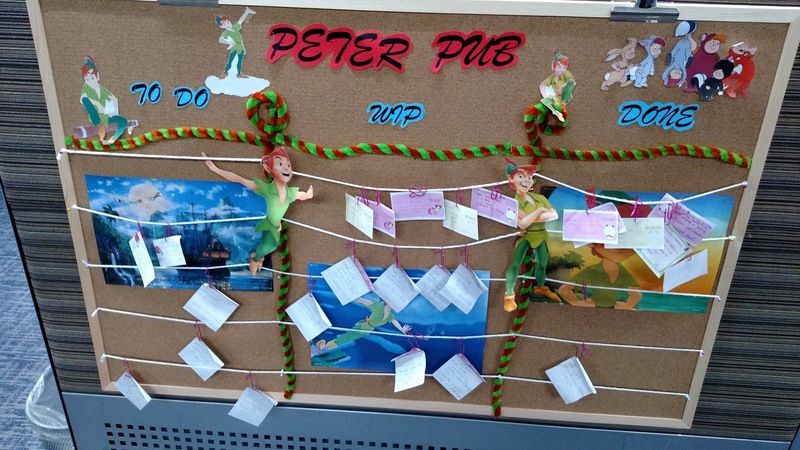 Some teams really enjoy setting up their task board and making it their own in very creative ways. I encourage them to pick a theme or find a way to relate it to their team name, whatever matters to them as a team and is something they will maintain. Then they plan some work, add it to the board, and start meeting every day for stand up. 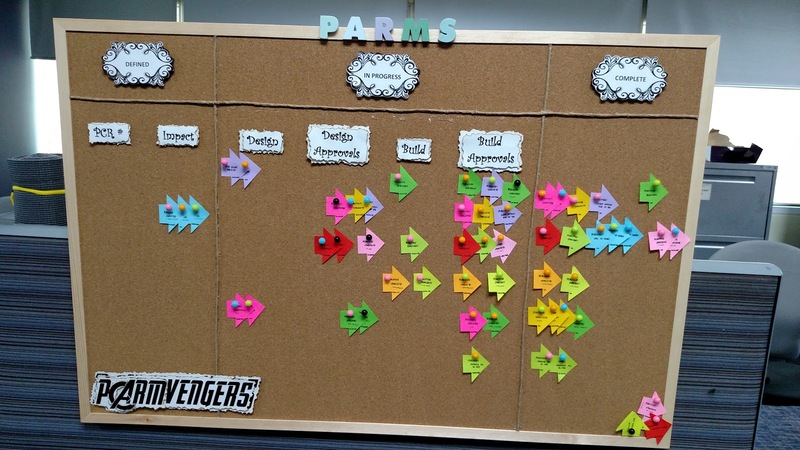 Their update to one another is accompanied by moving the tasks across the board and they begin to hold one another and themselves accountable to the commitment they made at planning. 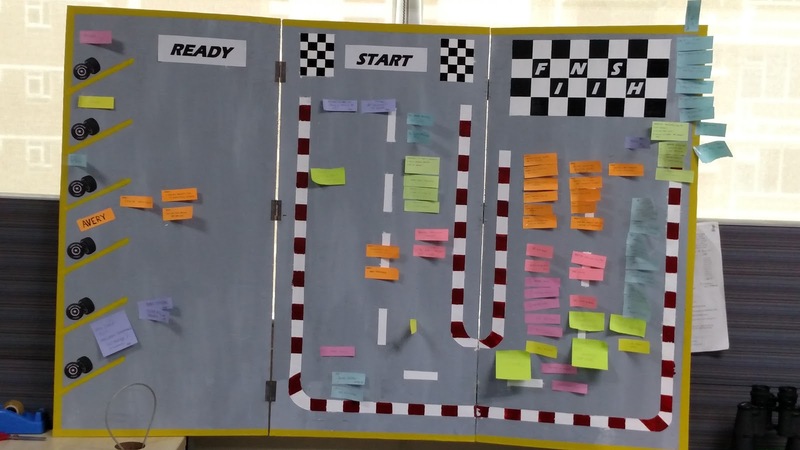 As time goes by, and sprint after sprint is completed, team members begin to nudge each other to join stand up, they will relay their update to someone else on the team if they can’t make it, possibly email it if they know they won’t be there but the team needs the information. They celebrate when tough tasks make it into the Done column, they swarm on tasks that threaten their commitment, and they work together to figure out how to divide up tasks when someone can’t meet their commitment for whatever reason. They begin to focus on the work, not who might be looking at them. They stop seeing the color of the post its and the cartoon images on the board and see the work represented and how it progresses across the board; and in fact, want to show off their board and explain what they’re doing and that they figured out how to do something faster or more efficiently or with better quality. Eventually, they become a cohesive team and OWN the task board they initially felt was unnecessary and a duplication of effort. Synergy is defined as, the interaction of elements that when combined produce a total effect that is great then the sum of the individual elements. A basic condition for synergy is that the key players must effectively interact with each other. Patrick Lencioni's book, the The Five Dysfunctions of a Team covers many of the issues that task boards address: "1) the absence of trust and openness among teams members; 2) fear of conflict; 3) lack of commitment to a topic or plan; 4) unwillingness to hold teammates accountable; 5) and inattention to results and lack of focus on the collective actions that must be taken." 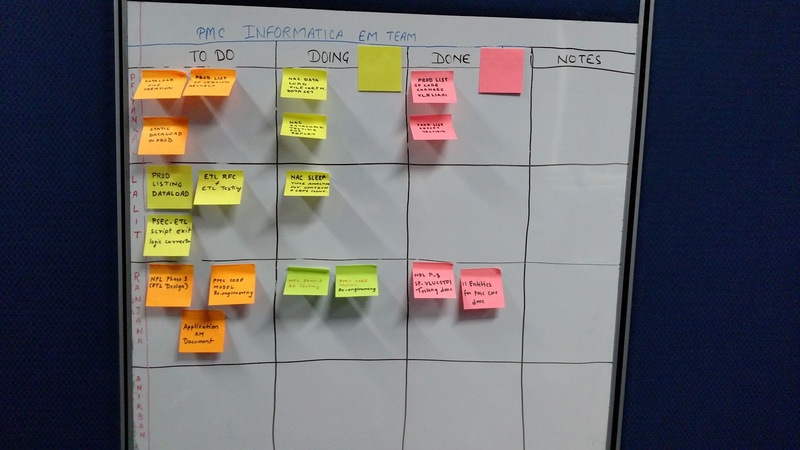 Task boards require that teams work through these things to optimal resolution and all in public. Daniel Pink tells us that what really motivates people are autonomy, mastery, and purpose. The autonomy and purpose afforded by task boards lead to mastery of the skill sets, and/or the work we’re doing that is depicted on that board. 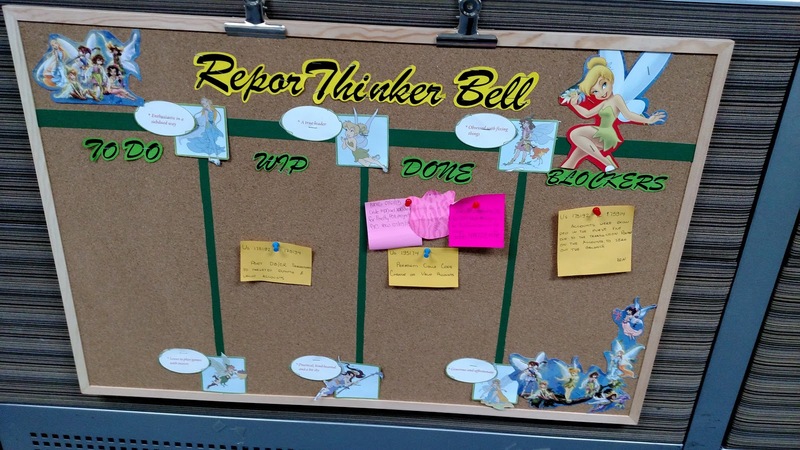 There are many and varied reasons tasks boards work so well. I don’t usually tell people, but I call it magic.